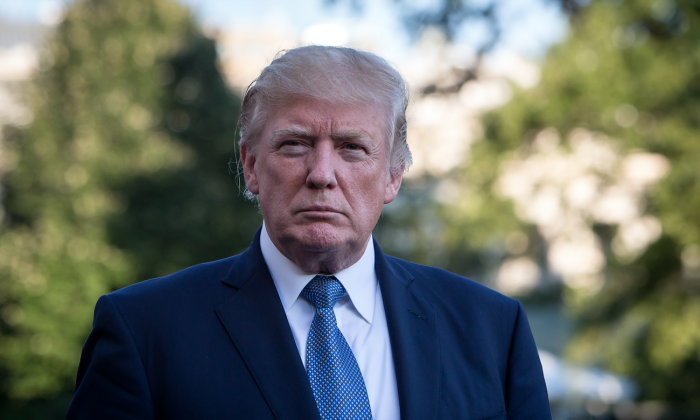 President Donald Trump declared a national emergency on Dec. 21 in response to severe human rights abuses and corruption around the world. “I hereby declare a national emergency to deal with that threat,” Trump said. The executive order allows for the freezing of assets, within U.S. jurisdiction, of foreigners who commit severe human rights abuses, or for corruption, for the most part, outside of the United States. The executive order also targets foreigners and U.S. nationals who have assisted, sponsored, or provided financial or material aid to the foreign nationals who committed the crimes. Offending individuals will be identified by the Treasury Department in consultation with the Secretary of State and Attorney General. The executive order targets individuals, entities, and government officials. In effect, the executive order allows for the United States to crack down on international criminal networks who engage in human rights abuses, such as child traffickers. It also allows the United States to target individuals within regimes who have committed human rights abuses, such as in China or North Korea. “Human rights abuse and corruption undermine the values that form an essential foundation of stable, secure, and functioning societies; have devastating impacts on individuals; weaken democratic institutions; degraded the rule of law; perpetuate violent conflicts; facilitate the activities of dangerous persons; and undermine economic markets,” Trump wrote in the executive order. While it is unclear what the scope of the national emergency will be, 13 individuals have already been identified as serious human rights abusers and corrupt actors. In addition, the Treasury Department said that it has identified 39 affiliated individuals and entities under the new order. Among those initially targeted by the sanctions is Gao Yan, who was the director of the Beijing Public Security Bureau Chaoyang Branch. During Gao’s tenure, human rights activist Cao Shunli died in detention in March 2014. “Cao fell into a coma and died from organ failure, her body showing signs of emaciation and neglect,” said the Treasury Department in a statement. China has seen widespread human rights abuses over the years. Among them is the persecution of practitioners of the spiritual discipline, Falun Gong. Officials involved in these abuses could now be targeted under the national emergency. It also includes Mukhtar Hamid Shah, a Pakistani surgeon specializing in kidney transplants who Pakistani police believe to be involved in kidnapping, and the removal of and trafficking in human organs. A full list of the individuals targeted can be found here.